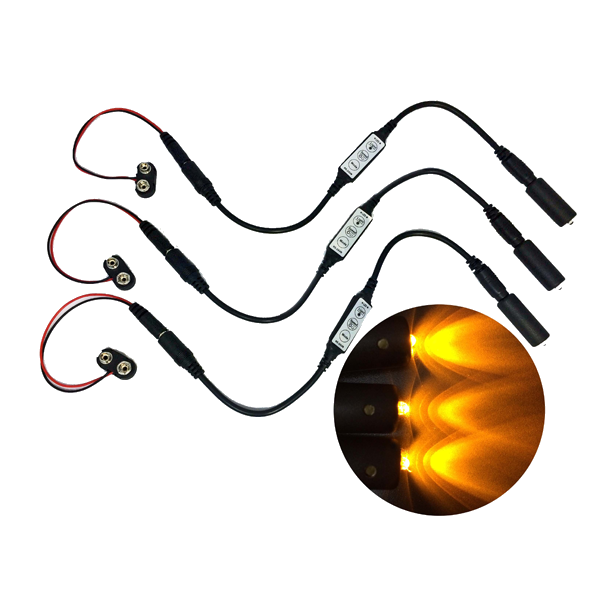 Fire effect ember orange flame simulation LED light kit with flicker effects control for props, theatrical scenery, faux flame, glowing coal baskets and other specialty lighting projects. Operates on 8 AA cell batteries or 12 volts DC. 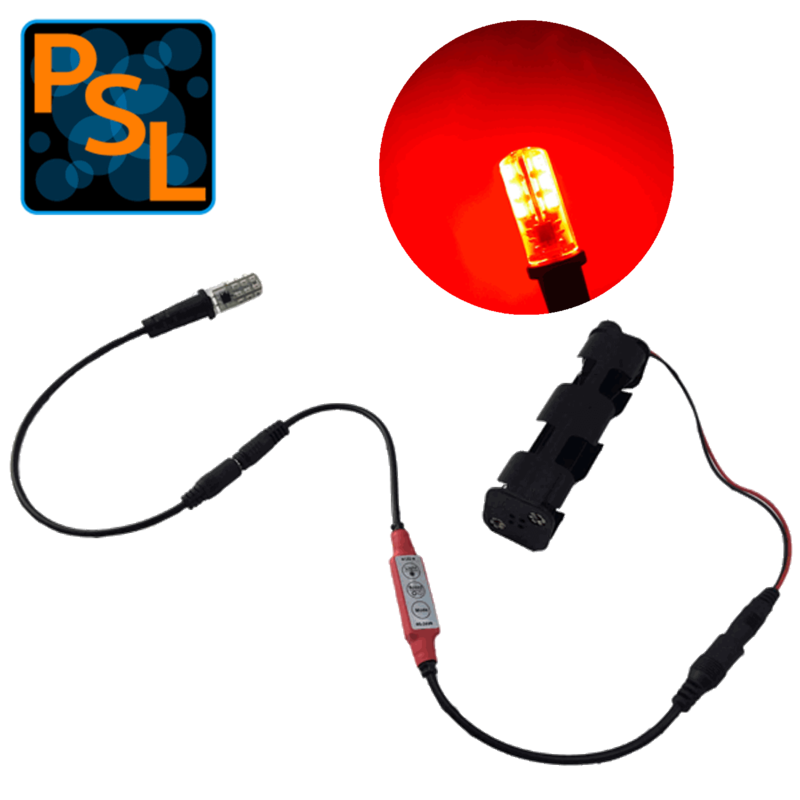 The SBL2-EO (Ember Orange) LED bulb in this kit is designed specifically for simulated fire in specialty lighting projects. 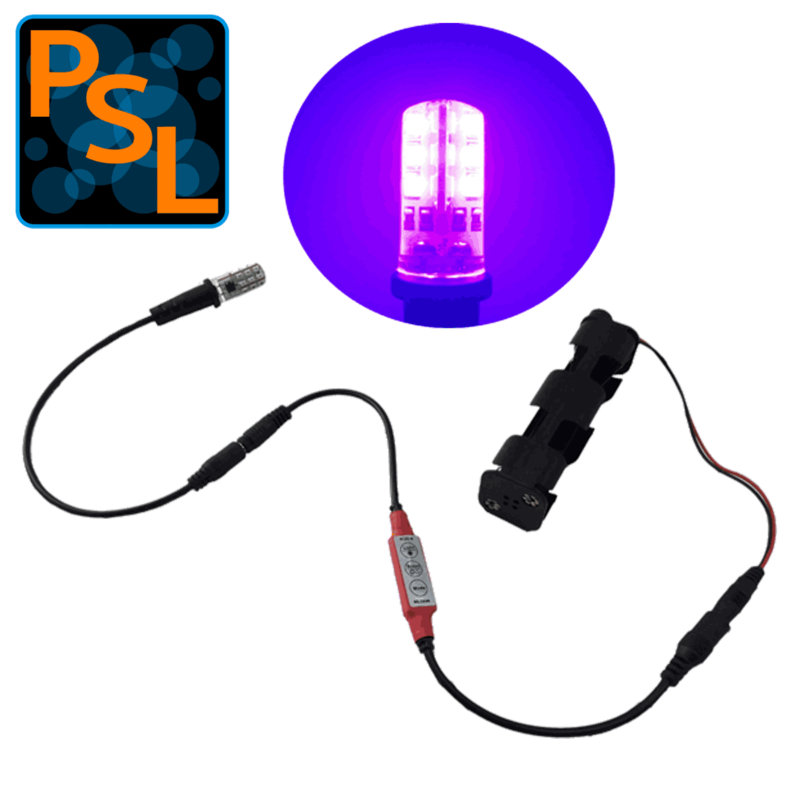 The kit includes the SBL2-EO ember orange fire effects LED bulb, EEL1 (Enhanced Effects Light) cable socket, FEC1 (Flicker Effects Control), and battery holder for 8 AA cells. 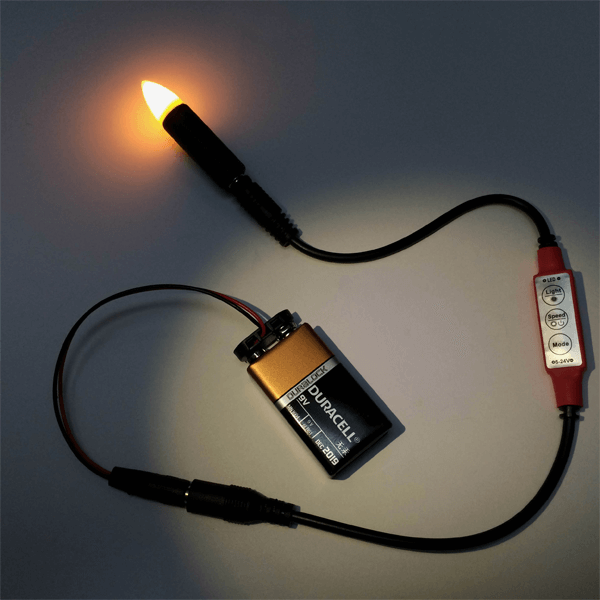 This kit provides a dynamic flame ember orange flicker lighting effect. Typical applications are fire simulation props, and scenery needing a coal or ember glowing fire look. 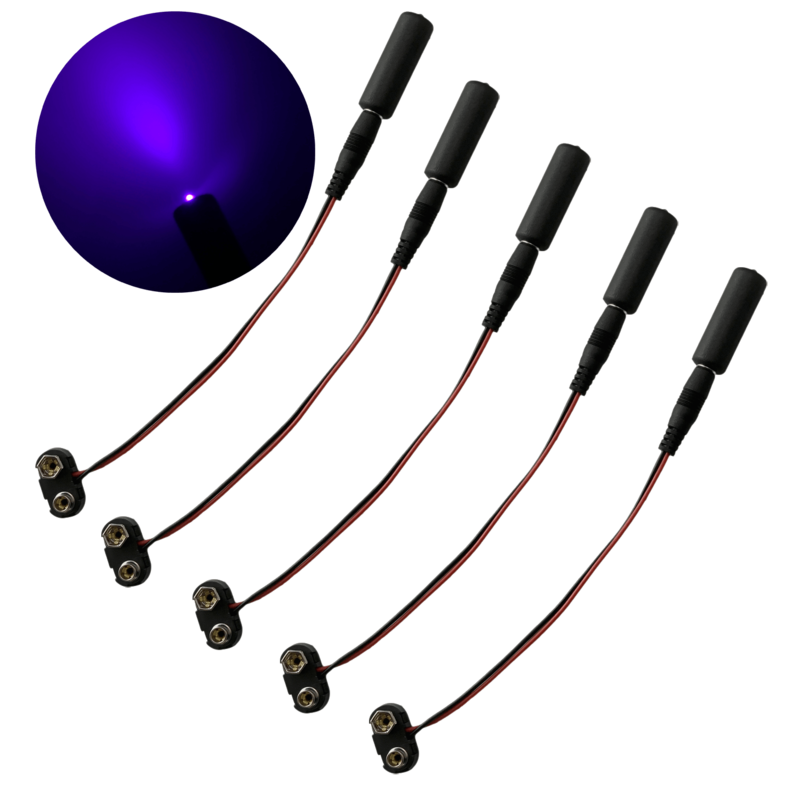 Multiples kits can be used for an increased dynamic fire effect and/or for higher light output. The flicker effects control, or flicker generator, can be set for any of six dynamic flicker modes. Each of these modes has a different flicker pattern. The control may also be set at any of the 10 flicker rates. When set at a slow rate the effect is soft glowing coal or embers. When set at a rapid rate, the effect is simulated fire. The control also has one static dimming mode. 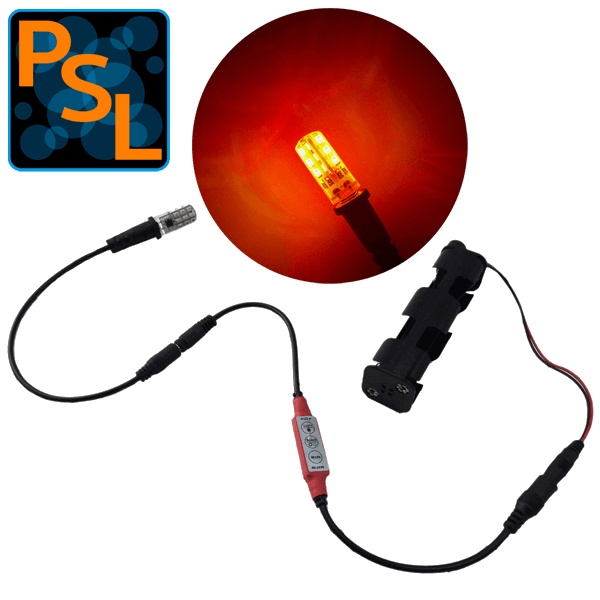 The SBL2-EO (Silicone Bi-pin Lamp, Ember Orange) is a bulb that uses a total of 24 LEDs and measures 1.125” tall 0.5” diameter. 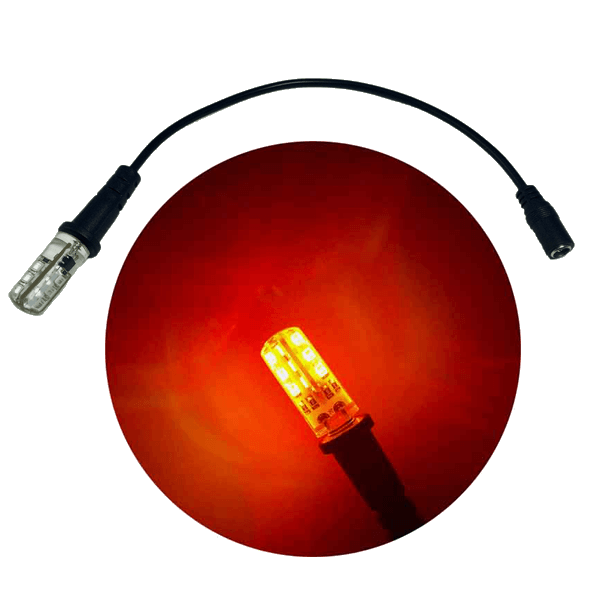 Additive color mixing of 12 yellow and 12 red LEDs is used to produce the ember orange glowing fire color that is polychromatic with a dominant wavelength of 605nm. The light output is a nominal 19 lumens at a 1,000 Kelvin nominal color temperature. Operating time from 8 AA cell batteries can be expected to be greater than 12 hours. 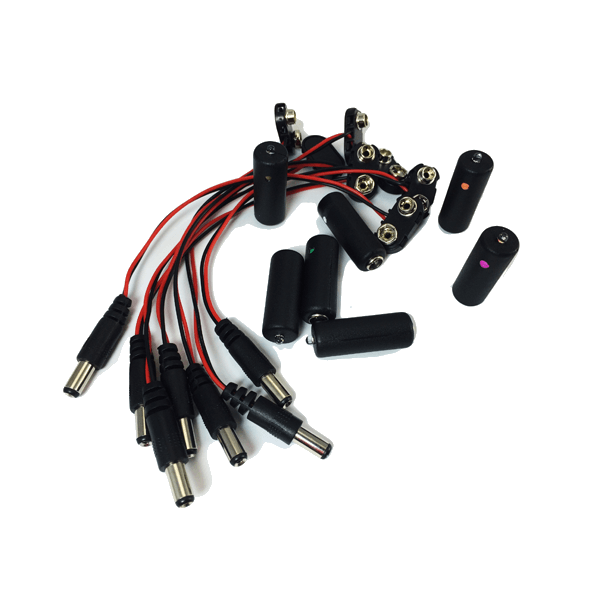 The kit can also be operated from a 12 volt DC power supply. 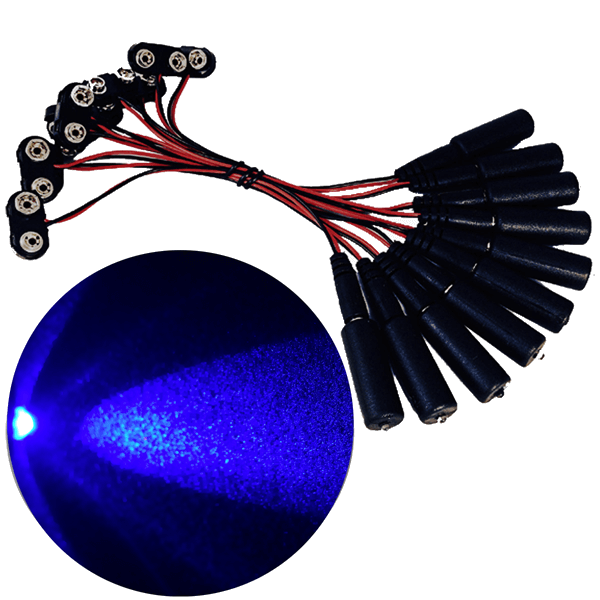 The overall length of the bulb cable socket control and battery holder assembly is 36 inches nominal. Batteries not included. 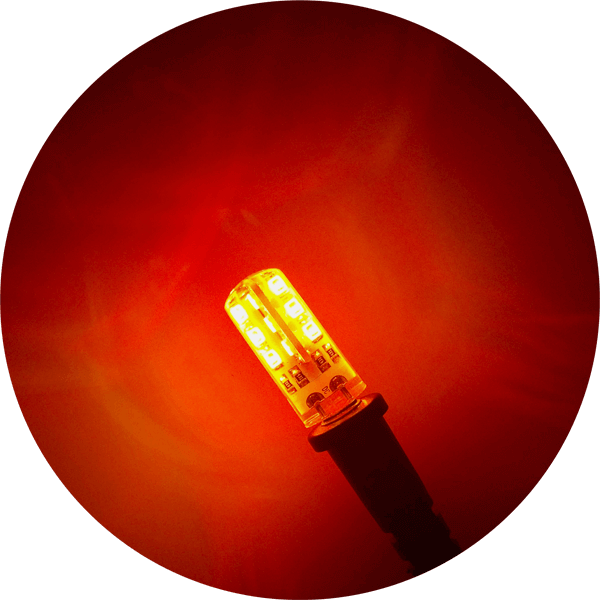 The ember orange 1,000 Kelvin LED bulb is best in applications where the bulb is not directly viewed. 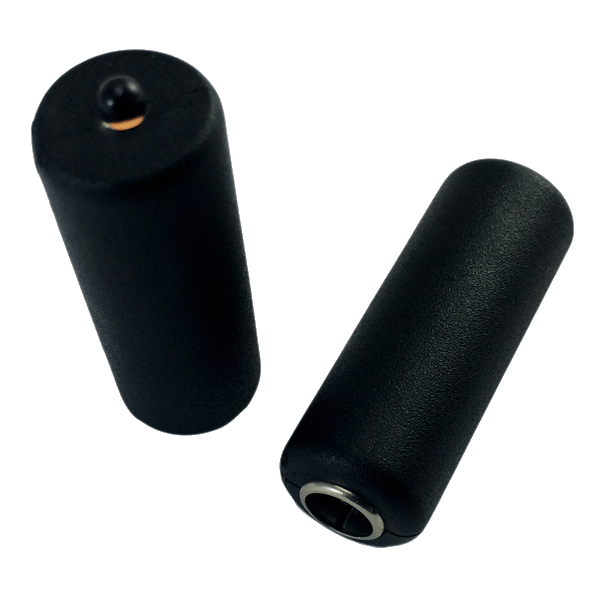 The use of a clear medium such as rubber glass for props or other clear mediums such as cast translucent resin pieces to spread and diffuse the light works well for coal and ember effects. For fill light in an application such as building a faux fireplace, using a white reflector produces a good soft fill light and adds to the mixing of the red and yellow LED light. In an application where you may need to project the light of the ember orange bulb, such as flame simulation or the use of a specular reflector, shiny smooth and silver in appearance may be used.